I’ve written a lot about the Depuy ASR Hip System on this site. And there are good reasons for that. First, I have represented many clients who suffered from failed Depuy ASR hip components, so I’ve spent a lot of time in the Depuy ASR MDL. Second, the Depuy ASR hip failures have generated thousands of lawsuits across the country, more than other artificial hip products. The last I checked, filed cases involving the Depuy ASR hip system exceeded 10,000, so the ASR claims are far and away the biggest source of litigation among the artificial hip manufacturers. Nevertheless, other artificial hips have been failing. Depuy Orthopaedics manufactures and sells the Depuy Pinnacle Cup System. Thousands of lawsuits have been filed against Depuy and Johnson & Johnson related to the Depuy Pinnacle hip, although so far, Depuy is defending the Pinnacle Hip aggressively and recently won a jury trial involving a woman who claimed she was injured by the Pinnacle. 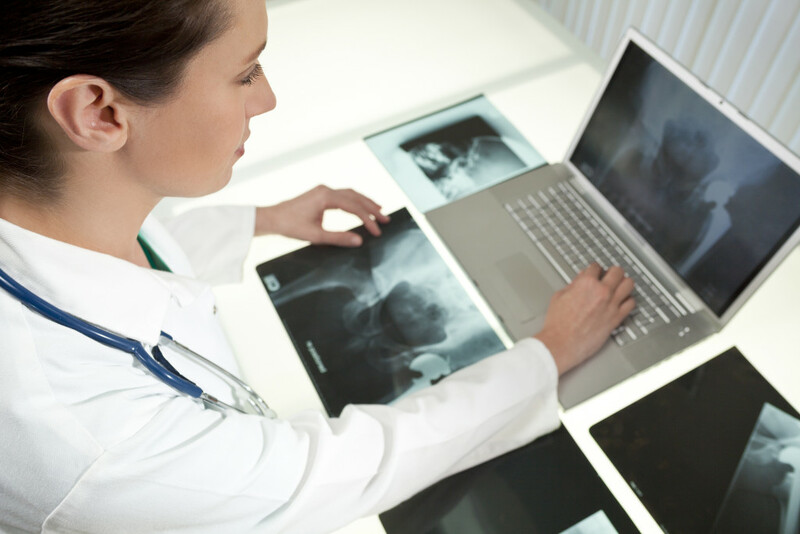 What is a Depuy Pinnacle Hip? The Depuy Pinnacle Hip, like virtually all artificial hips, is designed to replace your natural bone “ball-and-socket” with artificial ball-and-socket parts. The Depuy Pinnacle system was designed to provide more range of motion and to be more useful to an active group of patients undergoing hip replacement surgery. The Pinnacle system gives surgeons different options in the materials to be used for the hip replacement: metal-on-metal, or ceramic-on-metal, or other combinations. One of the major complaints against the Pinnacle is that the metal components grind and release metal particles into the body and blood of the patient, often leading to extremely high levels of cobalt and chromium (metallosis). Like the Depuy ASR hip, the Depuy Pinnacle hip bypassed the normal pre-market testing for a new medical product through a process known as “510(k).” This process allows a manufacturer to notify the Food and Drug Administration under section 510(k) of the Medical Device Amendments Act of 1976 (MDA) of its intent to market a device (like an artificial hip) and to explain the device’s “substantial equivalence” to a pre-MDA device. The FDA may then approve the new device for sale in the United States. Which it did for the Depuy ASR and Pinnacle. Where Are All the Depuy Pinnacle Hips Cases? The MDL for the Depuy Pinnacle hip system is 3:11-md-02244, which is in federal court in the North District of Texas. The caption of the Pinnacle MDL is IN RE: DePuy Orthopaedics, Inc., Pinnacle Hip Implant Products Liability Litigation. The Pinnacle cases have been assigned to Judge Ed Kinkeade. MDL 3:11-md-02244 has collected thousands of Depuy Pinnacle hip cases from all over the country. From this one court Judge Kinkeade will manage the discovery, hear motions, resolve pre-trial issues, and preside over bellwether trials. If you check out the Pinnacle MDL website you can see dozens of orders and court filings going back years relating to the Pinnacle lawsuits. In August, Judge Kinkeade selected certain cases as “bellwether selections” and ordered the parties to get those cases ready for jury trials. Bellwether cases are representative cases which have broad characteristics in common with many of the remaining cases; after jury verdicts are reached in bellwether cases, lawyers for plaintiffs and defendants often use these trial results to negotiate and construct a global settlement (which Judge Kinkeade would eventually have to approve). Was the Depuy Pinnacle Hip Recalled? Unlike the Depuy ASR hip system, Depuy Orthopaedics never recalled the Pinnacle device. In fact Depuy stills markets and sells the Pinnacle. Based on the course of litigation thus far, it seems that Depuy is taking the position that the Depuy Pinnacle is not a harmful medical device, that it has not harmed patients (certainly at a level to warrant a recall or discontinuation). Will Lawsuits against Depuy for the Failed Pinnacle Be Successful? Likely. A plaintiff lost one case so far involving the Depuy Pinnacle hip, but I believe there will be successful cases and settlement opportunities for injured persons, especially after more cases are tried to verdicts. There has been one important jury verdict so far relating to the (alleged) failure of the Depuy Pinnacle Hip: Herlihy-Paoli v. DePuy Orthopaedics (Federal Court, Northern District Texas). Kathleen Herlihy-Paoli sued Depuy Orthopaedics for injuries she suffered after her Depuy Pinnacle metal-on-metal hip implant failed. Ms. Herlihy-Paoli stated that she felt severe pain after the Depuy Pinnacle hip was implanted in 2009. She also alleged that she suffered from extremely high and dangerous levels of cobalt and chromium in her blood. DePuy argued that Ms. Herlihy-Paoli’s injuries were not caused by product defect but instead were caused by the artificial hips being implanted improperly. Interestingly, Depuy also argued at trial that the Depuy Pinnacle implant was a different product from the Depuy ASR hip. Jurors decided Ms. Herlihy-Paoli’s injuries were not caused by DePuy’s failure to act as a reasonable hip implant manufacturer. The jury further found that the device was not defectively designed and that Depuy’s warnings about the risks of the device were not inadequate. The jury voted in favor of Depuy, and thus Ms. Herlihy-Paoli received nothing. Still, I believe there are valid cases out there to bring against Depuy and J&J for the failure of the Depuy Pinnacle hip. If your original hip surgery was not successful, check to see if the Depuy Pinnacle hip was implanted in the original surgery. Note: This post is intended to provide general information and does not utilize any information from any particular client or from any specific lawsuit handled by the author or the Firm.